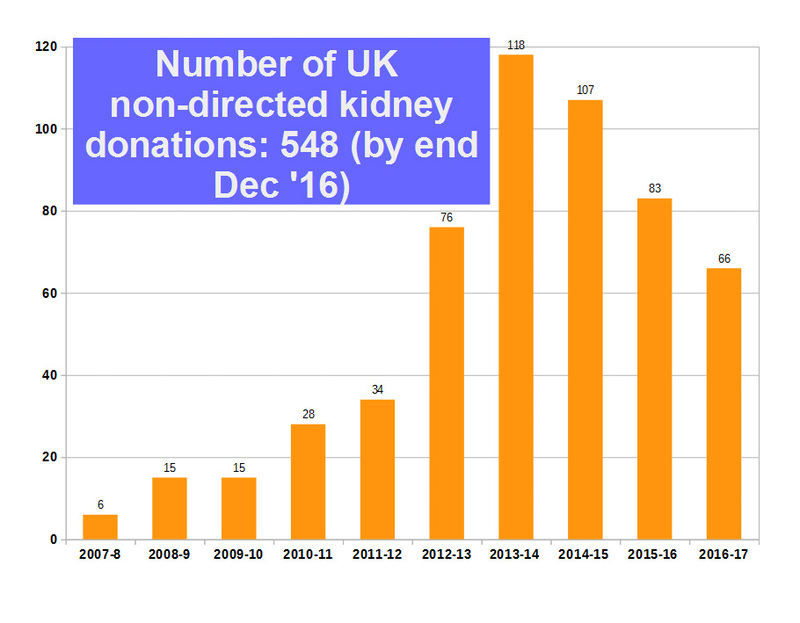 The end-of-year statistics from NHSBT show that in 2016, 85 non-directed donors helped to create 126 kidney transplants (59 people donated directly to someone on the waiting list and 26 into long or short altruistic donor chains.) The figures are slightly down on 2015, where there were more donors, however, the numbers of transplants triggered through the use of these donors in chains meant that the number of transplants created was almost identical (126 in 2016, 127 in 2015). Many thanks to all involved and wishing good health to all the donors and their recipients.